The famous skating brand Vans have become a classic street style staple for so many years already. Their sneakers are very comfy and stylish that a lot of men prefer these sneakers than other brands. 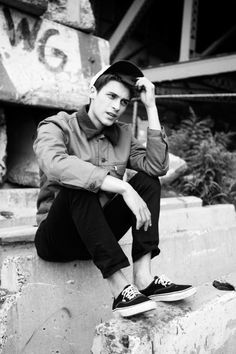 Vans are so versatile that they can be worn from casual street wear to formal ensembles while continuing to look dapper and cool. 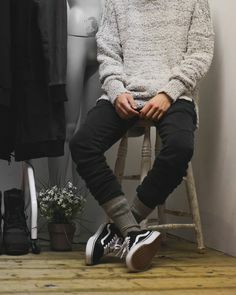 Below are shoe outfit inspirations to wear with men’s Vans. 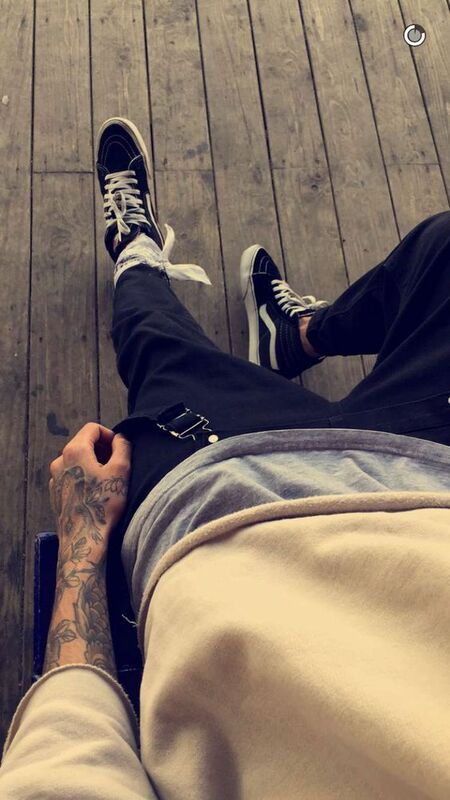 Wearing Vans with jeans are one of the most popular looks. 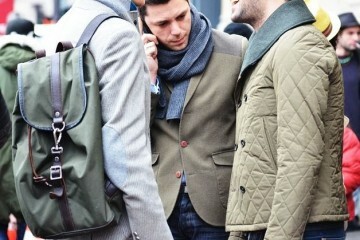 Look casually smart by layering a button-down shirt over a collared shirt then pairing it with skinny jeans. The Vans Old Skool is one of the most iconic shoes the brand has because it’s the first ever shoe to feature the iconic side, also known as the jazz strap. Because of its classic style, you can wear this pair with just about anything- whether you feel like dressing up or down. 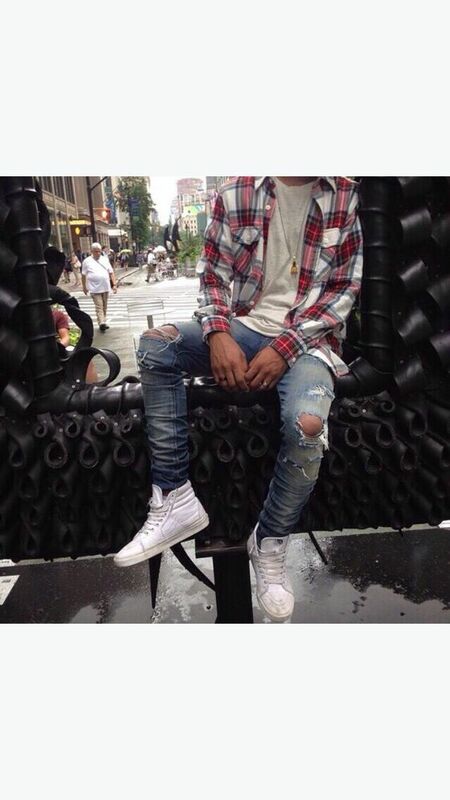 Rock distressed jeans with a crisp white shirt and your favorite pair of Vans shoes to achieve a simple ‘bad boy’ look. Don’t be afraid of sporting colored Vans sneakers as well. 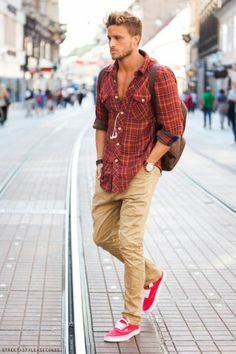 If you can’t go to work wearing denim jeans or formal trousers, choose khaki pants and a plaid shirt to polish the look of the Vans. When the weather’s too hot for pants, wear shorts. Wear it with your favorite tee then just look for your favorite pair of Vans sneakers. 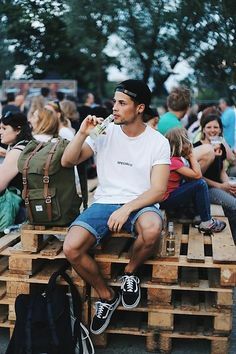 A very laid-back look. Don’t be afraid of playing around layers and pieces you already own. Vans sneakers can be worn with just about anything. You can wear it with the rattiest shirt you own and you’d still look super cool. Vans are a bold choice of footwear. However, keeping your clothes neutral will allow the shoes to do the talking. 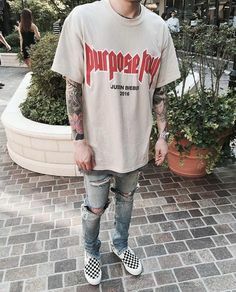 Take inspiration from Justin Bieber. He’s wearing neutral-colored pieces paired with his Vans sneakers. 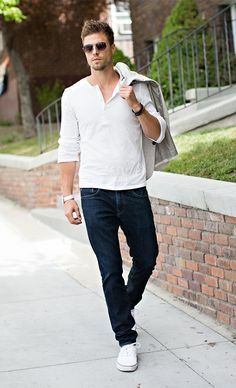 If you feel like your outfit’s a bit too casual for you or a bit too formal, pair your pants with a denim shirt. Keep your entire look versatile. This look is a timeless ensemble in our books. The iconic Vans Slip-Ons is the perfect mix of the smart and casual balance. You can wear these with easy-going pieces you have inside your closet. Having a pair of these slip-ons is an essential and an ultimate addition to your wardrobe. 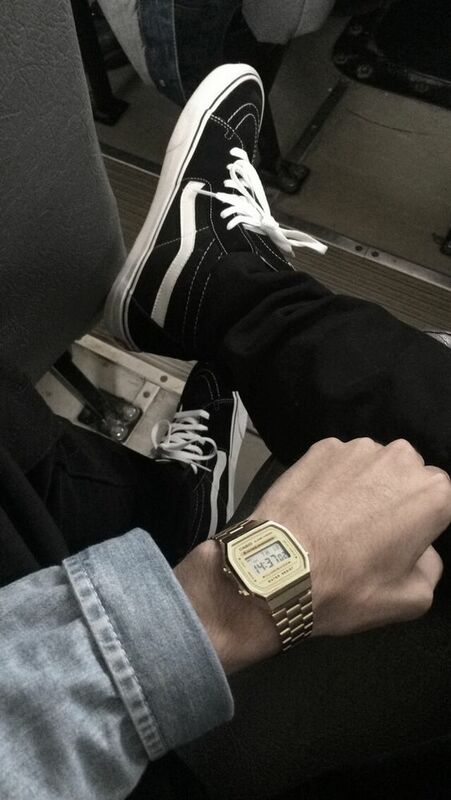 The easiest way to achieve a cool look with Vans Sk8-Hi is to keep it modern and minimal. 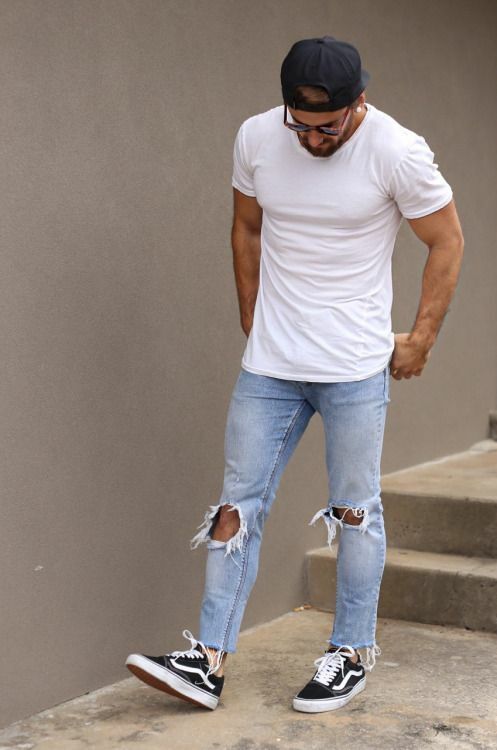 Opt for a plain gray tee to wear over a plaid shirt then just finish off the look with ripped denim jeans. 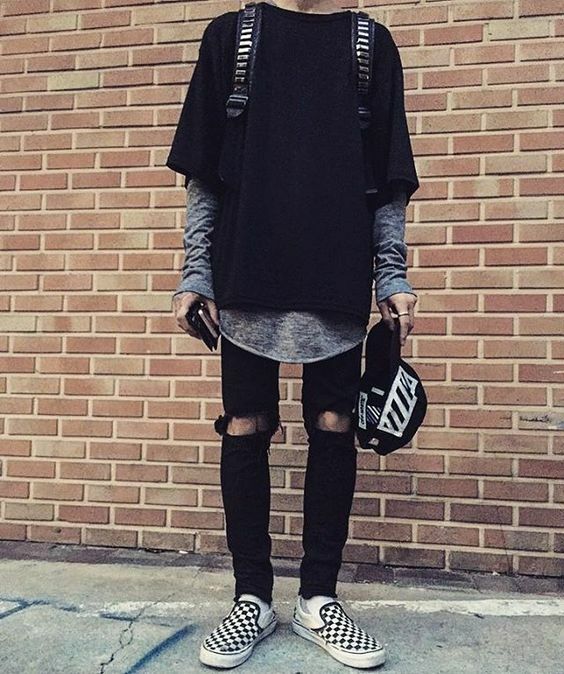 You can try so many outfits with your Vans sneakers. Whether it’s Vans slip-ons, Old-Skool, Sk8-Hi or Authentics, you’ll surely find the right pair for you.